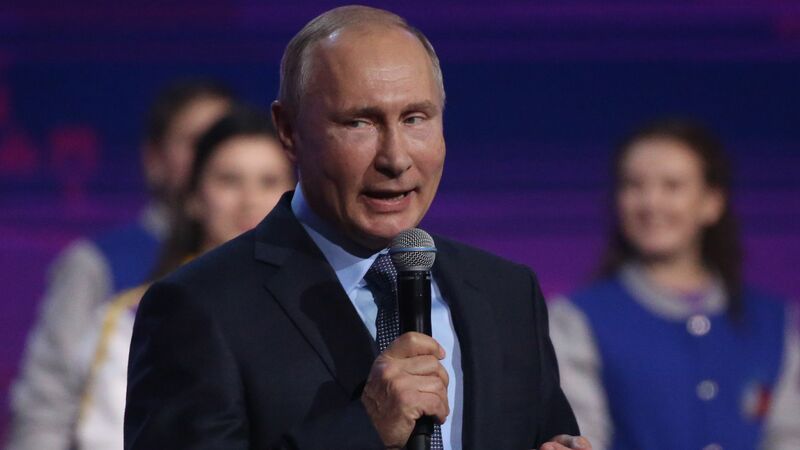 Russian President Vladimir Putin said on Wednesday that if the U.S. exits a Cold War-era missile treaty and begins developing new intermediate-range missiles, his country will follow suit, per the AP. The backdrop: President Trump has threatened to withdraw from the landmark 1987 Intermediate-Range Nuclear Forces (INF) treaty — which bans land-based nuclear missiles in Europe — because Russia has developed and fielded a banned missile system. All 29 NATO members backed the U.S. accusation yesterday, saying: "It is now up to Russia to preserve the INF Treaty." Secretary of State Mike Pompeo said the U.S. would begin withdrawal in 60 days if Russia remains in violation.